Polyester filaments. Better quality paint brush for all paints. 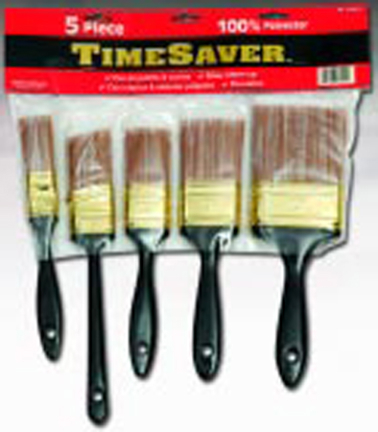 Set includes 1”, 1-1/2”, 2”, and 3” varnish brushes and 1-1/2” angled sash brush.